The answer is no, I am no photographer, although I’ve always loved photography and this hobby of mine is helping me quite a lot to understand a few technical things about this profession. It may sound stupid, but before starting this I didn’t even know about stuff like depth of field or field of view. So here it is, my personal way of taking in-game screenshots. If you’re interested you can also check a previous article I wrote about panoramic pictures here. Screenarchery is a term used online to describe the hobby of taking in-game photos using specific programs and creating professional scenes. Do I really need a powerful computer in order to do this? As I mentioned in my previous articles, you do. If your hardware is not powerful enough you may encounter a few problems, starting from the graphics which cannot be set on their highest property. First of all, you have to be sure your settings are all on Ultra or at least on High, if you want a clean and detailed image this is essential. The second thing you can do (although this is completely optional) is choosing a ReShade configuration you like or create one yourself. This will allow you to add more colors, a better antialiasing and create a different atmosphere in your scenes (see linked tutorial in the first paragraph). Once you’ve found a nice area in your game and gotten the tools to unlock the camera and everything else, you’re ready to jump on the next step. If you are lucky enough the game you want to shoot offers an incorporated photomode, which is still quite rare in PC games and mostly used on PS4 installments. Some of the most recent games like Mirror’s Edge: Catalyst and The Witcher 3 are now compatible with Nvidia Ansel, although in my opinion it’s still not as advanced as it should be. 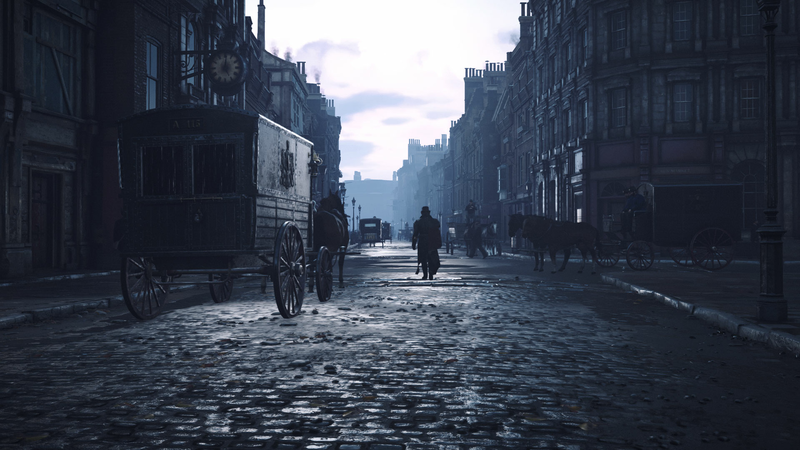 In case you had to download some additional hacks to make this kind of in-game photos, the free camera and FOV keys are always indicated in the author’s notes included with them. 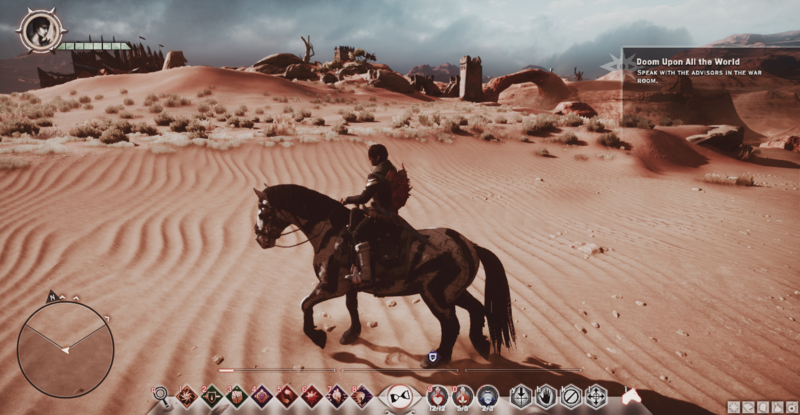 For this example I took some quick shots in Dragon Age: Inquisition, being my favorite fantasy RPG and already having its own guide on my site (which I also linked above). 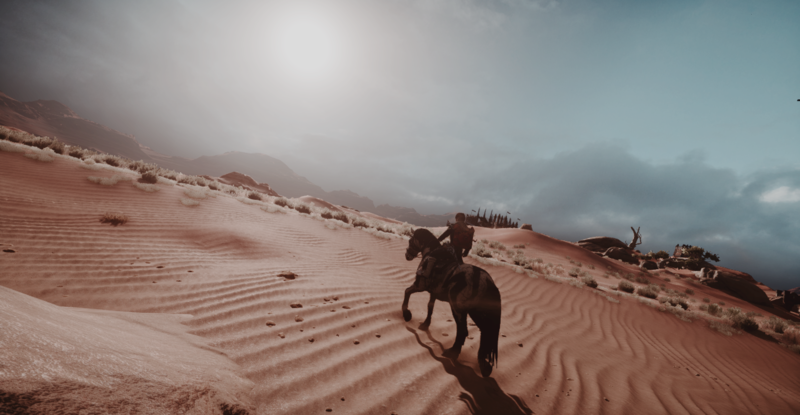 I personally like immersive shots with an open space, so I loaded a big area and hopped on my horse to explore. The positive thing about this game is that you can basically freeze time wherever and whenever you want even without using the hacks, but if what you’re playing does not offer this option and forces you to enter the menu instead, the fanmade mods could have it enabled through a simple key. Hiding the HUD is extremely important here. The interface would ruin our composition completely and if we want to make good photos we need to get rid of it no matter what. Games hardly allow you to remove everything from the screen, reason why our talented programmers always include a ‘Hide UI’ option in their hacks/tools. Even without modifications nor free camera you can tell the scene here has already improved. Now, this is where the fun truly begins. Imagine yourself with a digital camera in your hands, could it be a Reflex or just your smartphone. Sometimes finding the perfect angle can be very tricky, depending on the environment and how many details you manage to include into the scene. Lighting, timing, the posing… even if you’re just shooting a landscape you may want to calculate how a bird flies or wait until the sun appears from behind the clouds. Photos are taken to capture a special moment, a memory, a vacation you want to remember for the rest of your days. Taking screenshots in games has more or less the same meaning, especially if you loved them so much they literally touched your heart with their immersive stories and worlds full of adventures. For this shot I wanted the sand to be properly visible and also keep the sun with part ot the moody sky. I also applied a minor camera tilt for a more dramatic look. Note: Not all the tools have a tilt option incorporated. I wanted to add more depth into my image, so I increased the FOV (Field Of View) value to enlarge the scene. Usually if you set the value on 20 or lower you can get good portraits and close ups with characters or items, while setting it on 50-60 you obtain more distance between your subject and the camera ‘lens’. Do not increase it over 80 because you will certainly get some distortion. However, once again, some cheats may work differently and will not allow you to manually set up a numeric value for the FOV. Sometimes you may just use the Page Up/Down or numpad +/- keys to change it, but the results will be exactly the same. If you have the chance to apply some Depth Of Field through the tools, the photomode or ReShade, I highly recommend not to ignore it. This technique can be found pretty much everywhere even in standard photography, because it helps bringing your attention to the subject in focus while blurring the rest for a deeper and more three-dimensional look. You can change the values and try different combinations, for this screenshot I wanted to blur the far background and the front rock. If the tools you are using let you add/modify some effects I’d say go for it and take your time to experiment. 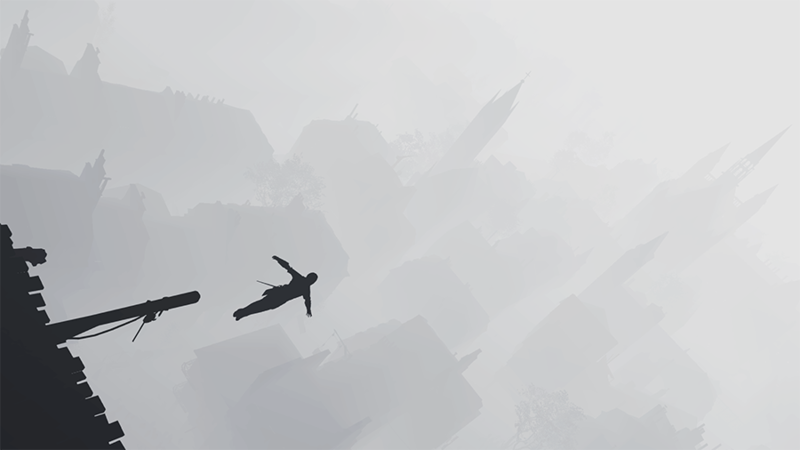 In this game I personally love altering the original fog for darker scenes like I did here. Think about it like when you apply filters on Instagram to completely change the look of your image, the imporant thing is that you do not overdo it; too much saturation will make your eyes sore, a too bright lighting could hide some details that you actually wanted to keep in the first place (for example I wanted the sun fully visible, but if I make this picture brighter than how it is, the result will be just a strong white light source coming from the sky with no shape at all). Be careful also with the textures, because if they are not detailed enough they will look pixelated in some spots after your modifications. Another suggestion I want to give you is to make more than one shot for the scene you have prepared. Take different angles moving the camera around, find new points of view and compare what you got to see which one looks better. Looking at my image I thought the rock on the front was a bit distracting even using the blur, while this second picture still has the same details in it but shows a cleaner ground bringing my attention exactly where I want it. ‘Static’ scenes like the one I showed until now are probably the easiest to make, but what happens if you want to capture an active fight or an area where there’s more movement in it? Even if you can freeze the time you don’t know for sure when that action will happen, nor when the cars or carriages will pass filling the streets. You may need to try over and over again even reloading saves just to frame that specific action, there is no particular secret here being just a matter of luck most of the time. The first thing you need to consider, though, is the framing. 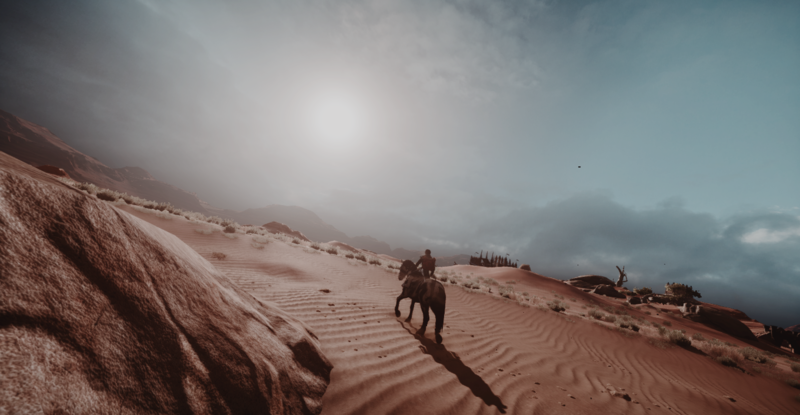 In panoramic screenshots where the environment counts more than the character(s) in it you are free to expand the view and make the camera angle larger, it doesn’t matter if the subject is not in the middle since it is not the priority. With dynamic/action shots, however, you have to pay attention to the needed details depending on what you want to highlight. In this example I wanted to concentrate over the attacking wolf and my mage preparing for the fight. If I made the frame bigger capturing part of the environment on both sides (or on the right/left only), the final result would have become a bit dispersive (and distorted due to the camera tilt I applied). 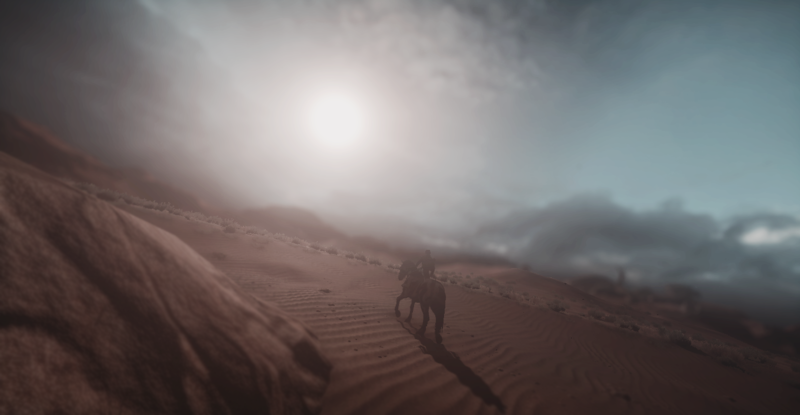 This is purely optional because sometimes, thanks to the amazing in-game shaders and/or ReShade, you can get just the perfect scene which doesn’t require any further modification. Still, if you want to make the picture a bit brighter or if you want to add more effects you are free to use any editing program for that. I usually tend not to alter my screenshots too much, because I want to take advantage of the wonderful engines and video games’ general potential. If you want to play around with some very cool photography filters you can get the Nik Tools for free. They are made mostly for Photoshop, but I believe it is also possible to eventually use them with Gimp. The only thing I really NEED to modify is the horrible clipping that you could get from time to time; Long hair mixed with the clothes, an item pocking through the skin, feet sinking into the ground more than necessary. I care a lot about details and realism, so I can’t really stand these imperfections into an otherwise flawless picture. If you have some editing skills I suggest you to do the same for a better result. 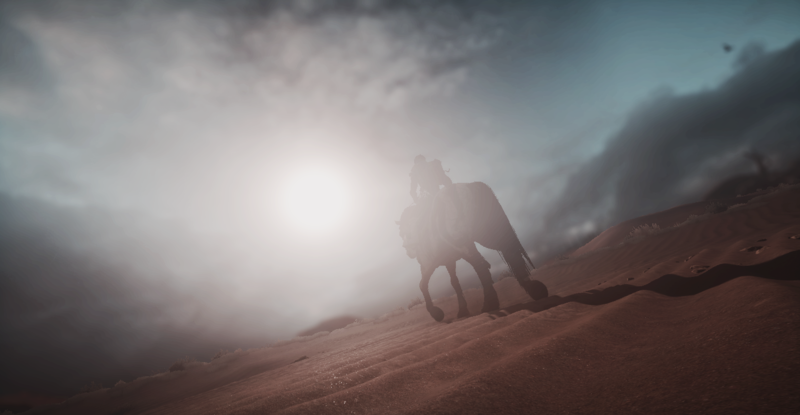 Even if you are not a photography expert you can get good looking screenshots. You only need to experiment, practice and find your own ‘shooting style’. Have fun discovering new things in your games and using the unlocked camera to explore the sceneries in their entirety. If you want to check some already posted work (also used for professional purposes) you can visit Dead End Thrills and Berdu. These are two of the most famous and talented creators out there. If you have any question, feel free to ask here or contact me.